There are so many benefits to being a Close To My Heart consultant that I don't even know where to begin!! I think, though, that today I will start with camaraderie and the importance of a good team. 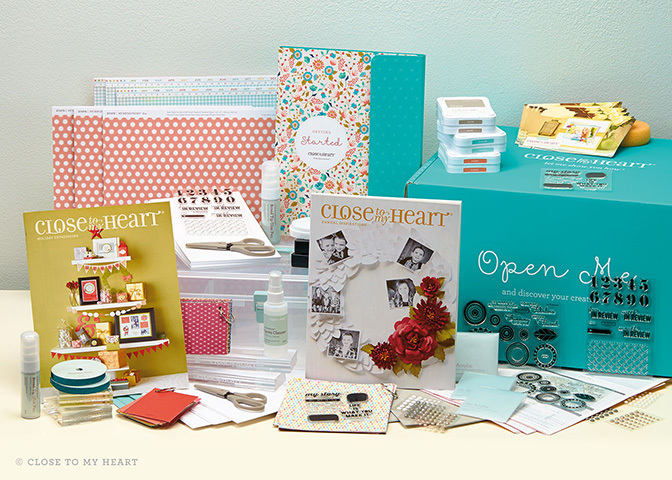 Do you wish for friends that share in the same love of paper crafting as you do? What about a large group that gets together often to share paper crafting ideas, food, and friendship? 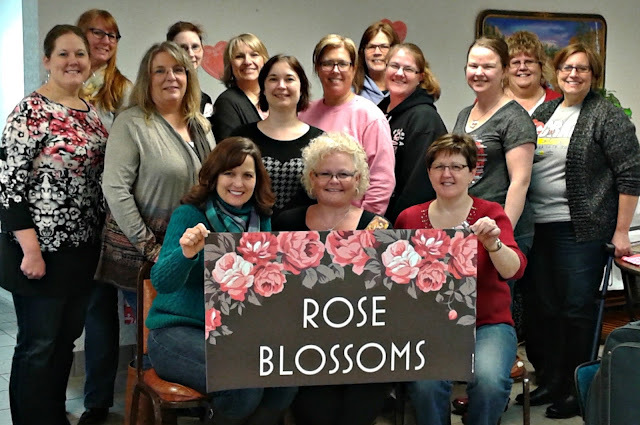 Let me tell you about my team, the Rose Blossoms, through some photos that have been taken over the year. This was taken at a weekend crop that is held by two of my dear friends and downline, Mary (far left) and Barb (far right). This was taken at our team meeting in January where we celebrated 2014 accomplishments. The next photo was taken during a weekend retreat. I love those weekends!! 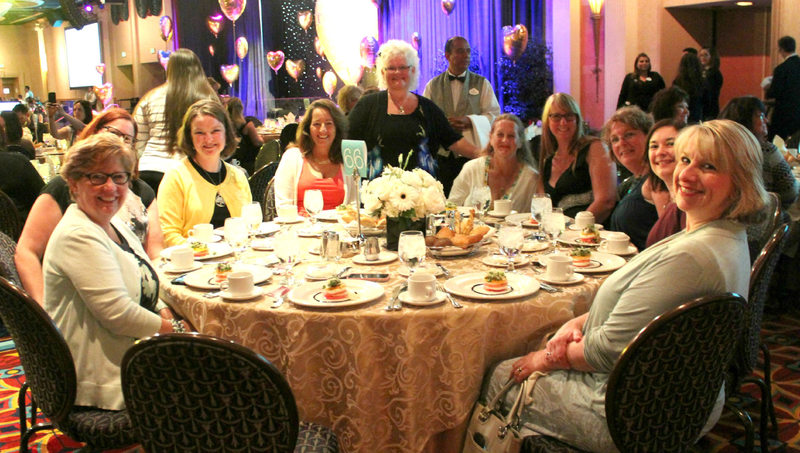 And, of course, I have to show some fun pictures from Convention in July!! 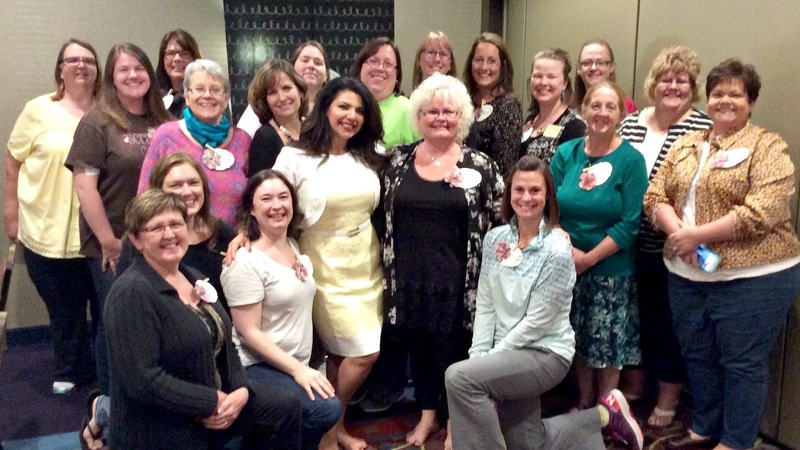 Here we are with Monica Wihongi, CTMH Chief Communications Officer, at an event in September. 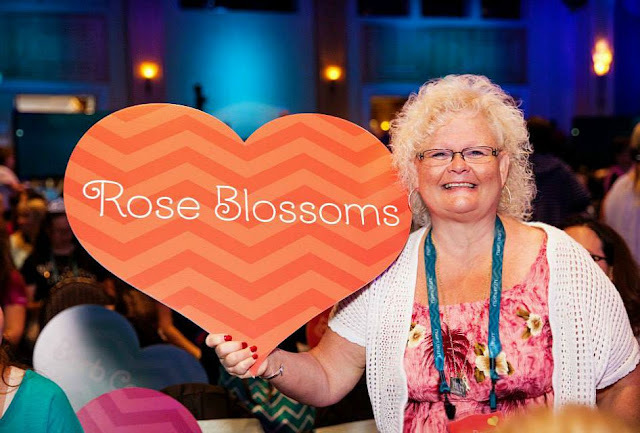 She is our favorite honorary Rose Blossom! And finally, here's my very beautiful wind-blown team after working hard at the Operation Smile crop weekend. 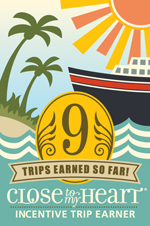 We raised over $2000, and that means 8 children will receive new smiles!! Come back tomorrow for the next installment of the benefits of being a Close To My Heart consultant! In the meantime, click on this link to check out this AWESOME Consultant Kit! Great pictures Brenda....maybe I'm being biased but we do have a very amazing group of crafters that make up our team. Not only the awesome talent and artwork, but everyone is so willing to share ideas and help each other out if ever needed. I've made some very fun friends being part of this team and for that I'm very thankful.